Suzuki's 2015 Bandit 1250S is now on sale and ready to have you cruising the highway, hitting the country roads or commuting from point A to B. International Motorcycle Show (Intermot) Cologne - Tuesday 30 September. The 2011 Bandit 1250 and ABS-equipped Bandit 1250A are now available in Australia, offering an unmatched combination of superior performance, eye-catching style and advanced technology. Part of Suzuki's extensive best-selling street bike range, the 2010 Bandit 1250 and ABS-equipped Bandit 1250A are now available in Australia, complete with exciting new styling and colour schemes. Free ABS With Naked Suzuki Bandit 1250A! Suzuki will effectively give customers a free upgrade to the ABS-equipped model of its popular naked Bandit 1250 until the end of June, thanks to a generous $500\* CashBack offer. Suzuki is making sports touring storage simple by throwing in a free Givi Top Case with every new Suzuki Bandit or GSX1400 purchased before the end of June. Suzuki has added two new models to its best-selling sports touring range, welcoming a new naked, big-bore Bandit 1250 to Australia. 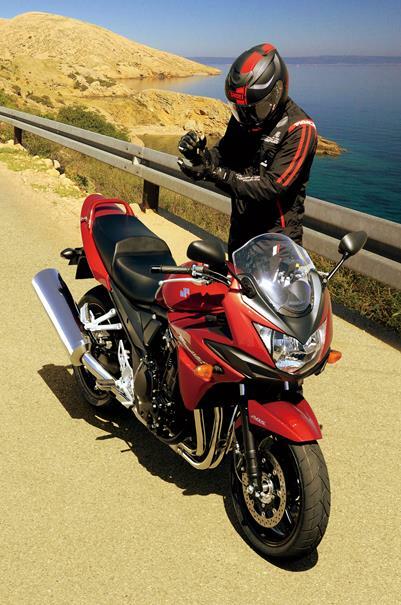 The first of Suzuki's hotly-anticipated, all-new ABS models has arrived in Australia. Suzuki has today confirmed plans to introduce its exciting new range of motorcycles equipped with Anti-lock Braking System (ABS) into the Australian market. Suzuki's latest Bandit 1250S is now loose on the streets of Australia offering advanced technology and heavyweight power. Just arrived in Australia, Suzuki's all-new Bandit 1250S is a steal for Aussie riders, offering advanced technology and more heavyweight power at the same old price tag. Suzuki Australia has released advance details of the new Bandit 1250S to give riders an exciting sneak preview of whatís in store for 2007.